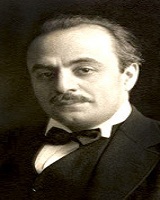 Khalil Gibran 6 January 1883 10 April 1931 Lebanese Khalil Gibran Kamila Gibran Philosopher, Author, Poet,Painter American artist, writer, philosopher and the third most popular poet in history after Shakespeare and Laozi. As an artist, he has also created some of the most fascinating drawing during his lifetime. A list of popular Hindi Khalil Gibran quotes are given below.